Professor Gomez-Diaz wins the 2017 Leopold B. Felsen Award for Excellence in Electrodynamics given by the European Association of Antennas and Propagation. The career award is issued, by nomination only, to an early stage researcher under 40 years of age to keep the memory and scientific legacy of Prof. Leopold B. Felsen alive. 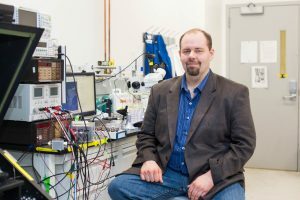 August 2, 2016­­­­ Erkin Şeker, assistant professor in the UC Davis Department of Electrical and Computer Engineering, has been named a 2016 Cellular and Molecular Bioengineering (CMBE) Young Innovator. For the full article by the College of Engineering, please visit here. Join us in congratulating Professor Şeker! 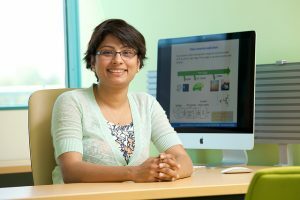 July 5, 2016 The International Symposium on Compound Semiconductors (ISCS) has awarded its 2016 Young Scientist Award to Srabanti Chowdhury, an associate professor in UC Davis Department of Electrical and Computer Engineering (ECE). 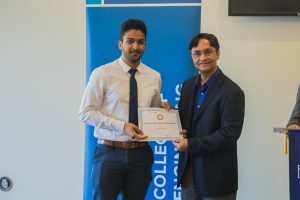 Please join us in congratulating Professor Chowdhury! For the full College of Engineering story, visit here. 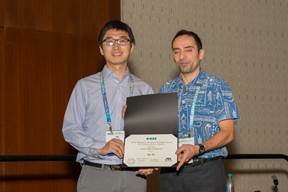 March 16, 2016 Professor John Owen’s students Yangzihao Wang, Andrew Davidson, Yuechao Pan, Yuduo Wu, and Andy Riffel’s paper “Gunrock: A High-Performance Graph Processing Library on the GPU” was named as 1 of the 2 “Distinguished Papers” at Principles and Practice of Parallel Programming (PPoPP). To read the publication visit here. January 27, 2016 Professor Josh Hihath’s student Yuanhui Li’s paper “Molecular Electronics: Long-Range Charge Transport in Adenine-Stacked RNA:DNA Hybrids” is highlighted on the current cover of the journal Small. To view the artcile, visit here. To see the issue of Small online, visit here. 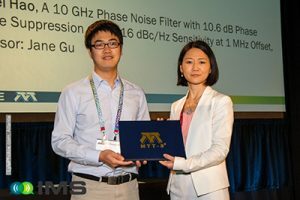 December 13, 2015 Jinbo Li under the supervision of Prof. Jane Gu has won the Best Student Paper Award at 2015 IEEE Asia Pacific Microwave Conference (APMC2015), held from Dec. 6th to Dec. 9th in Nanjing China. 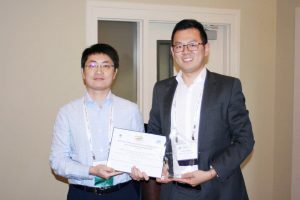 The paper is titled “Passive Interferometer for Wideband and Linear Transmitter Leakage Cancellation”, co-authored with Ran Shu, Jane Gu. December 7, 2015 Luis Bustamante received the best student paper award in IEEE AUTOTESTCON 2015 in November. The title of the winning paper is “Detection of Soft Errors through Checksums in Redundant Execution Systems”. The paper is coauthored by Luis’s Research Adviser, Professor Hussain Al-Asaad. See UC Davis’ Dinky participate in Worldwide Freescale Cup in Erlangen, Germany live! February 23, 2015 ECE student Jiun Rong (James) Chen has been selected to receive an IEEE Microwave Theory and Techniques Society (MTT-S) Undergraduate/Pre-graduate Scholarship for Spring 2015. Please join us in congratulating him on this accomplishment! November 24, 2014 Chen-Nee Chuah will be elevated to IEEE Fellow effective January 1, 2015. She will become an IEEE Fellow because of her contributions to MIMO communications and network management. Please join us in congratulating her on this accomplishment! 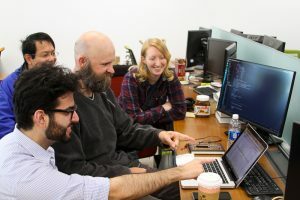 September 22, 2014 ECE Professor John Owens and Stanford Professor Stephen Boyd are among the first set of recipients for the new Adobe academic program for Digital Marketing Research Awards. The $50,000 award will support the research project “Scaling Convex Optimization with GPUs” to develop solutions to problems in marketing. August 20, 2014 Assistant Professor Erkin Seker has been selected to participate in the National Academy of Engineering’s 6th annual Frontiers of Engineering Education Symposium. 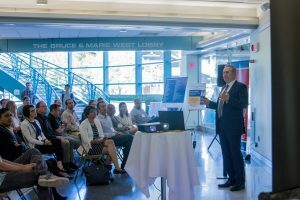 Erkin will join some of the nation’s most engaged and innovative engineering educators in order to discuss and collaborate on novel approaches to promote effective, substantive, and inspirational engineering education. 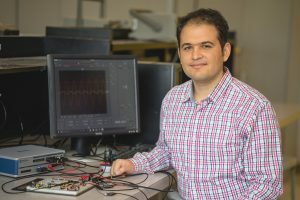 August 1, 2014 ECE Professor Omeed Momeni is leading a new NSF funded project “Terahertz PLL-Based Phased Array for Wide Band Radar/Sensing Systems in Silicon.” This is a collaborative project between UC Davis and UC Irvine to implement a scalable high-power terahertz phased array transmitter for radar/sensing applications. 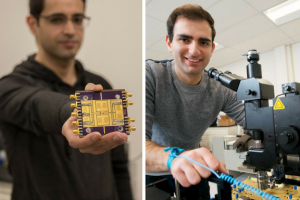 July 29, 2014 ECE Professors Xiaoguang “Leo” Liu, Paul Hurst, Stephen Lewis, and Bernard Levy received an National Science Foundation award to study and develop reconfigurable high speed bandpass sampling radio frequency receivers for software defined radio applications. 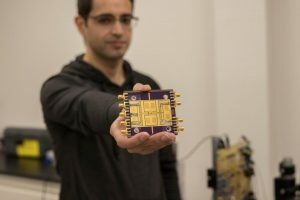 The award is funded under the NSF Enhancing Access to Radio Spectrum (EARS) program. 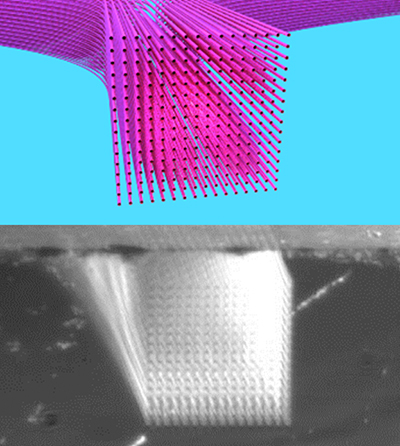 May 15, 2014 ECE Graduate Student Jin Yong Oh and Professor Saif Islam create nanowire-bridging transistors grown out of semiconducting materials. 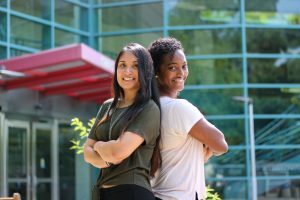 Their research is featured across many outlets, including phys.org. 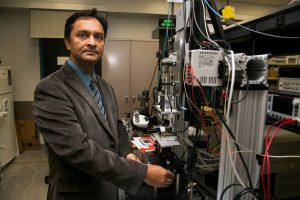 These nanopillars will allow for smaller, faster and more robust complex circuits that will pave the way for next-generation technology. May 7, 2014 Professor Q. Jane Gu is leading a project “Passive Wideband Interferometer enabled by non-Foster Quasi-Constant Phase Shifter for Error Feedback Transmitter.” The goal of this proposed research is to develop transmitters with ultra-clean output spectrum by developing noise suppression and nonlinearity cancellation techniques. 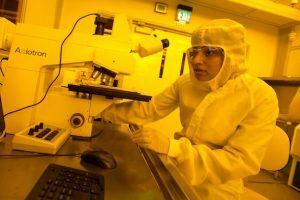 December 12, 2013 Professor Q. Jane Gu has been awarded a NSF CAREER award entitled “CAREER: Terahertz Interconnect, the Last Centimeter Data Link”. 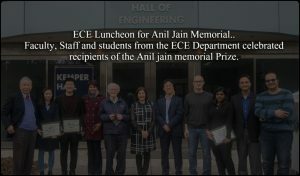 The five-year award will support her work on ultra high bandwidth density and high energy efficiency THz interconnect circuits and systems.